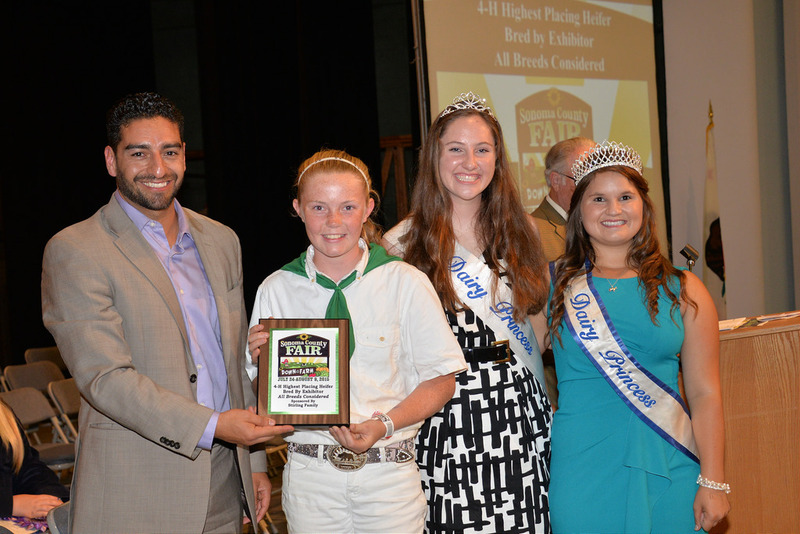 The annual Sonoma County Fair awards dinner, sponsored by Sonoma County Farm Bureau Foundation, was held on August 5th. 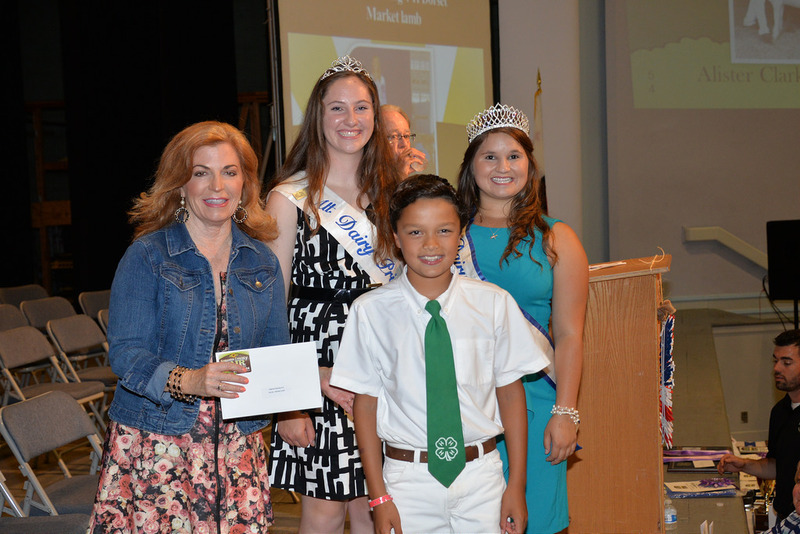 Eighty two awards were presented to young, bright members of the 4-H and FFA, the next generation of Sonoma County’s agriculture leaders. 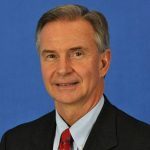 The most prestigious award of the night, the Farm Bureau Foundation’s Gold Cup, was presented at the conclusion of the ceremony. 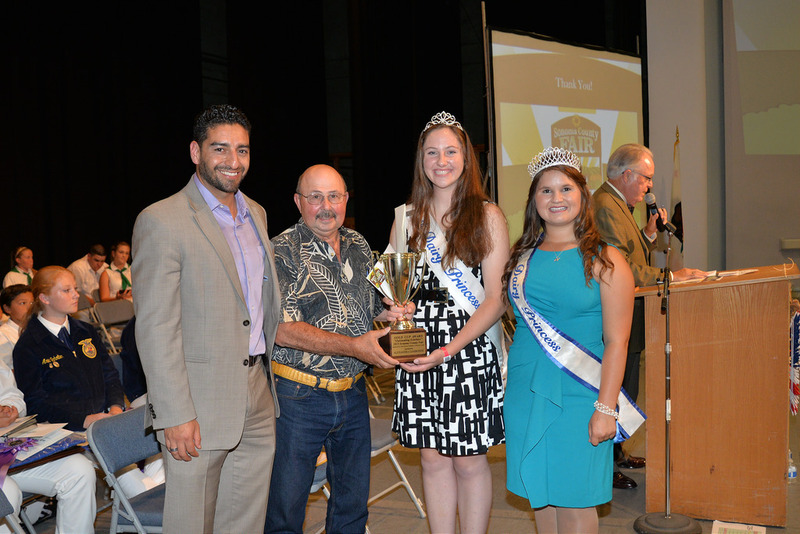 The Gold Cup Award is based on leadership, citizenship, character, project work, academic achievement, speaking ability, participation and performance at the 2015 Sonoma County Fair. 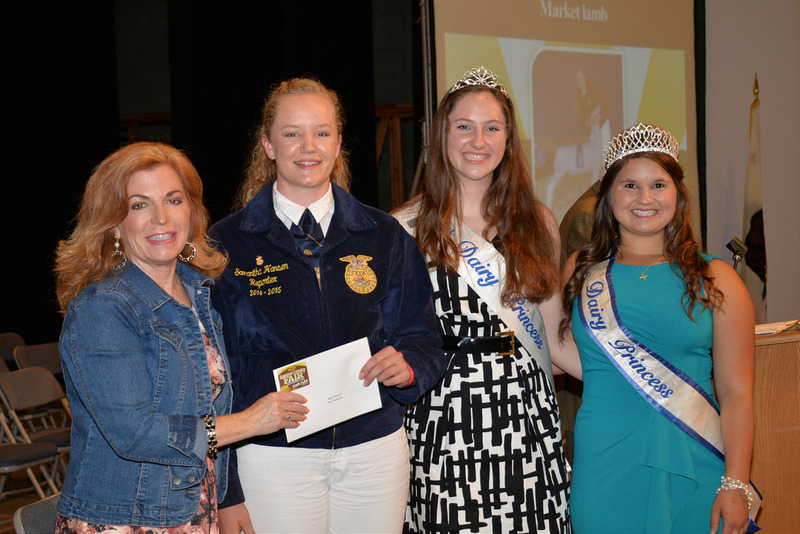 This year, the Gold Cup was presented to one individual with a cash prize of $2500 and an additional $500 to the recipient’s 4-H or FFA chapter. The winner of the 2015 Gold Cup was Alexandra Gambonini. 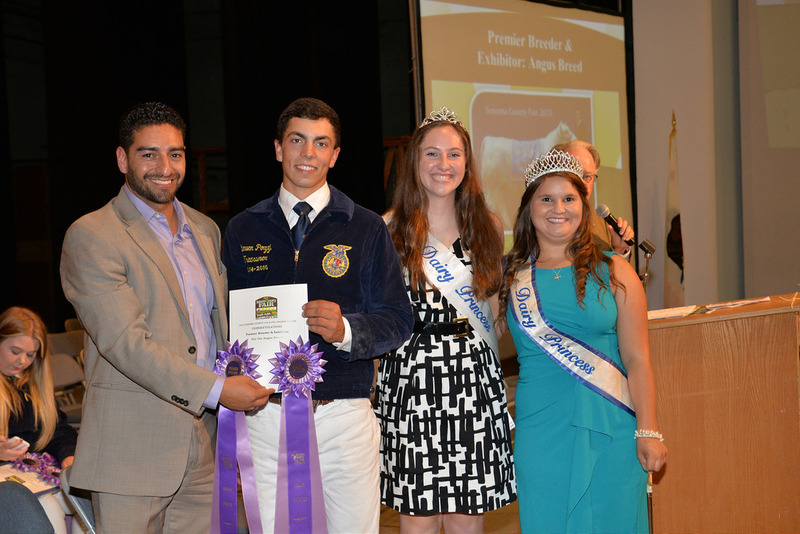 Gambonini, 18, is a member of both Petaluma FFA and Sonoma Valley 4-H. Each club will received $250. 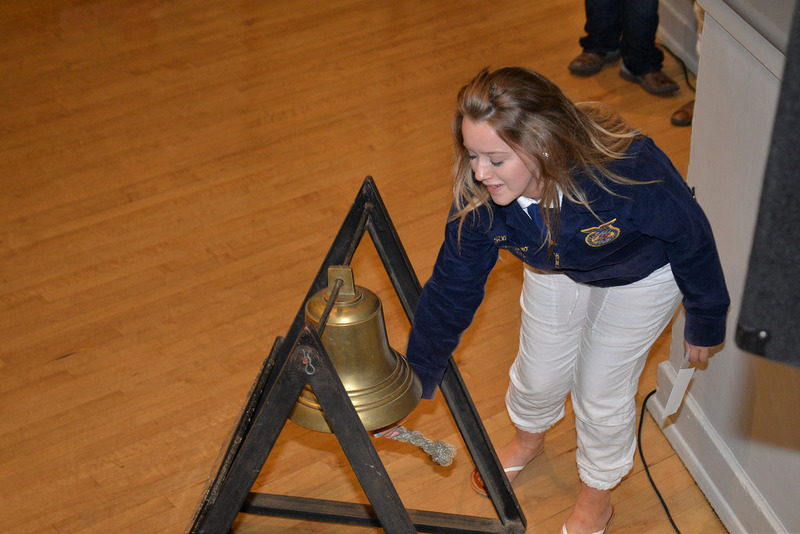 She has been a member of 4-H for 11 years and participated in FFA all four years of high school. 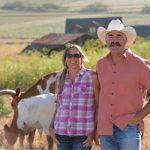 She shows registered Holstien and Brown Swiss at the local, state and national levels. 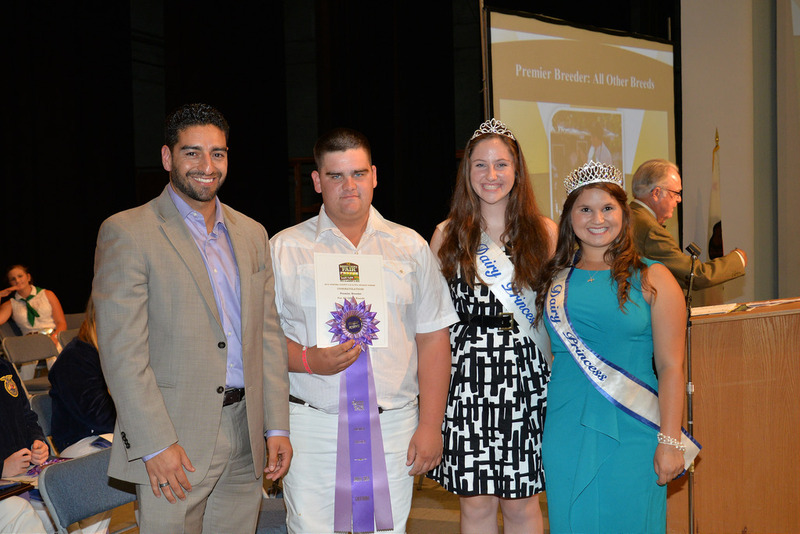 Additionally, at the 2015 fair, Gambonini showed two market hogs and 7 head of poultry. She could be found around the fair helping exhibitors of all species with their animals. 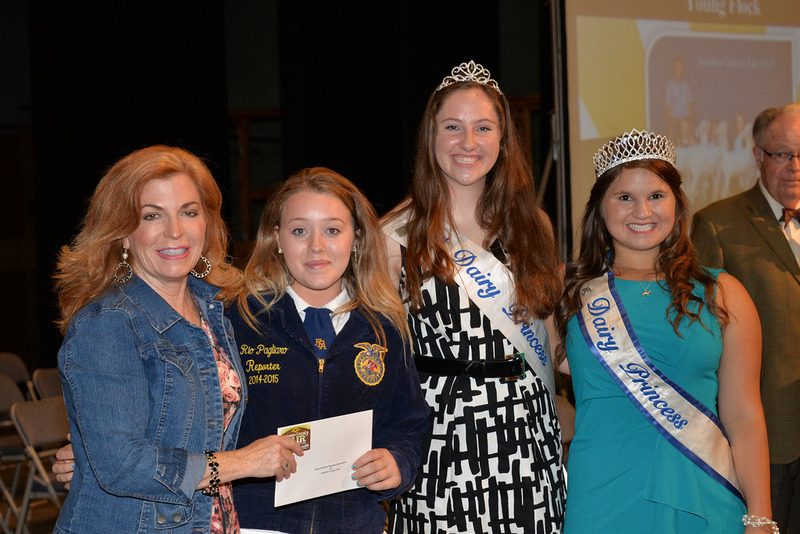 She has earned numerous awards including earning her FFA State Farmer Degree, making the dean’s list for all four years of high school, and was the Saint Vincent de Paul High School Salutatorian. 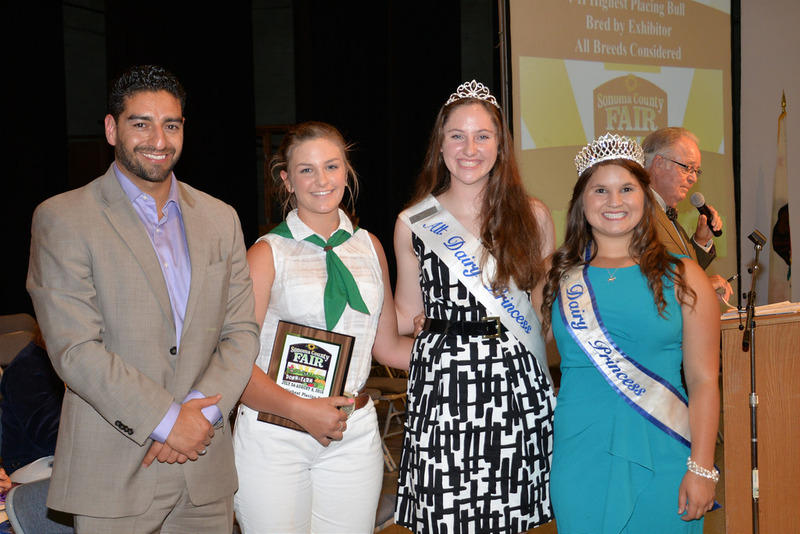 Gambonini served at the District 3 First Alternate Dairy Princess and also won awards as part of an Irish Dancing team. In the fall, Gambonini plans to attend Cal Poly where she will major in Dairy Science and hopes to pursue a career with in the dairy industry.